So, let me start this off with an introduction of myself. My name is Ali Brown, and I was born and raised in Indiana. I am a queer, feminist, pro-union, pro-equality, Hoosier Democrat. We exist, and yes, there are more of us than just Mayor Pete and myself. I am running for City-County Council in Indianapolis. And I have been friends with Pete Buttigieg for more than a decade. I want to tell you why I am an enthusiastic Pete Buttigieg supporter and have been for a very long time. Pete and I first met in 2008 when we both worked for former Congresswoman Jill Long Thompson on her historic run for Governor. She was, and sadly the only, woman to ever receive a major party’s nomination for Governor in Indiana. I was a Regional Field Director and Pete worked on economic development policy. I was 22 and Pete, just 25. My first impression was that he was nice, but a little shy and very smart. I didn’t know how smart at the time (he speaks 9 languages, plays 12 instruments, and is a Rhodes Scholar), but when you first meet Pete, there is a confidence in the way he answers questions that someone only develops because they have studied the material. He drove the policy for the campaign. It was, and still is, one of the most progressive policy platforms that has ever been put together in Indiana. In 2010, I really saw Pete blossom. He ran for State Treasurer to both move our state forward and to advocate for much needed transparency in our one party dominated state, and to fight for our auto workers. Indiana has more than 100,000 people working in jobs directly tied to the auto industry and our Treasurer at the time had sued to stop President Obama’s auto bailout. Pete made the livelihoods of those workers the centerpiece of his campaign. He became a champion for the worker. He didn’t win that race — 2010 was really, really bad for Democrats in Indiana — but he traveled the state, met tons of people, and developed his calm, confident style. Pete ran for mayor of South Bend the next year. He won a crowded primary that included a state representative and people who were much better known in the community. Pete won because he talked with everyone, he made everyone feel heard, and he brought a bold vision to a city that had been decimated after so many industrial jobs left. He gave them hope. Pete has been an excellent mayor. The people of his city really like him. The people of Indiana really like him. He represents the best in Hoosiers. He’s smart and of good character. Most of all, he is kind. That’s what leads me to be a strident Pete supporter: his kindness. In the summer of 2016, the Indiana Democrats had their annual weekend gathering in French Lick (yes, it’s a real place). It’s one of those gorgeous old hotels that makes me think of the hotel in Dirty Dancing. There are a lot of social events that happen during the weekend and party work is done. I was 5 months pregnant with my son at the time meaning I was very uncomfortable and very hot. I decided to go to the pool by myself and try and cool off. I was standing alone in a crowded pool, just chilling and letting my belly float, when I hear “Hey Ali!” come from behind me. It was Pete, holding a virgin strawberry daiquiri. He said he could tell I was hot and wanted to bring me something. We stood there in the pool, chatting. He introduced me to his boyfriend at the time, Chasten. He wouldn’t let me buy the next round. That’s Pete in a nutshell. He saw me, looking uncomfortable and hot, and thought “how can I make her life better?” and he did. He asked for nothing in return. I will always be there for Pete, because Pete was and is there for me. He took time from his busy tour to catch up with me and make a video endorsing my run for office, https://www.youtube.com/watch?v=Jy_QT6R0iaY. I’m very excited for you all to meet Pete. Ali Brown is a candidate for Indianapolis City-County Council District 5 and a client of HSG. Brown is running to be a voice for working parents and to fight for access to affordable childcare, public safety and complete streets, workforce development, and mass transit. As City-County Councilor, Brown will prioritize issues effecting Indy’s workforce development, families, and children, in order to ensure that working parents have a champion on the Council. Brown lives with her husband, Zach, their son, Dylan, and their dog Franklin, in Northeast Indianapolis. To learn more about Ali Brown and her campaign, visit www.aliforindy.com. When we wanted to get the word out about two important ballot measures, we went to HSG Campaigns. They worked with us to develop a great plan that included digital advertising and texting, allowing us to reach tens of thousands of voters in a short amount of time. They were very responsive and proactive. Both measures successfully passed. I highly recommend HSG Campaigns for your next ballot measure campaign. 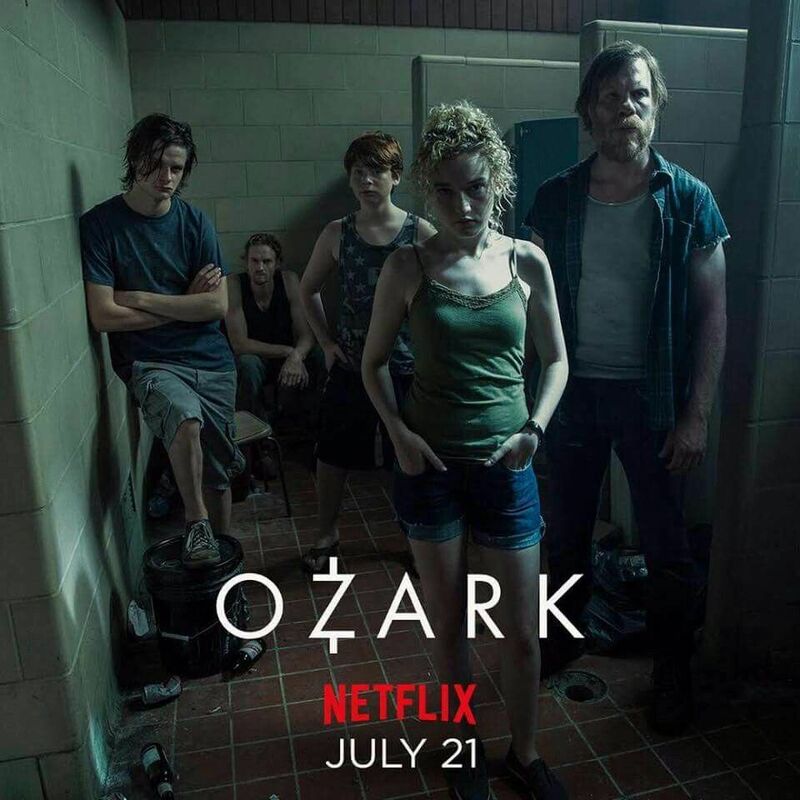 This week Matt is recommending the television series "Ozark," available on Netflix. "This is one gripping thriller that always has me on the edge of my seat. Jason Bateman does a phenomenal job with his acting throughout the story. He portrays a financial planner from Chicago who ends up laundering money to appease a drug cartel from Mexico. There are also many twists and turns throughout the show that make you want to stay engaged until the very end. I definitely recommend this to anyone who enjoys a dark drama."